Parents can be wrong, considering that children at the age of two, a further set of vitamins to take is not necessary. The nutrients they receive in full, using different vegetables, fruits. However, this opinion is erroneous. No one will argue with the fact that many of the vitamins needed for development and growth of the child contained in fruits and vegetables. Periods of autumn and summer rich in a wide selection of healthy fresh vegetables, but what if it's an early spring or cold winter? This time, the intake of vitamin complexes is justified. Vitamins are divided into the following groups: single component and multi-vitamins. The difference is that a single component composed of one kind of nutrients, and a multivitamin include all the necessary complex of vitamins, enzymes, minerals. In addition, the vitamins are fat soluble and water soluble. The first group includes vitamins a, D, E, F, K, all the others belong to the second group. Before you start taking vitamins, consult a doctor, because excessive consumption of anything good will not result. Today, there are a lot of complexes from different manufacturers, to say clearly what the child is necessary and vitamin, specific brands will not undertake to say any doctor. Each child is individually complex and regimen, given his age, diet, health status and so on. 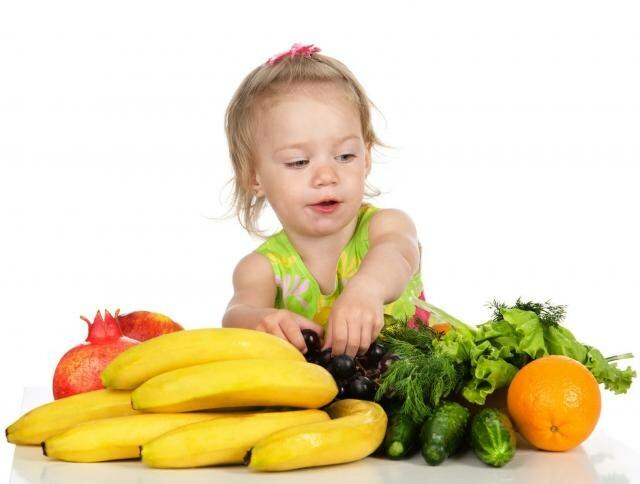 For a child under two years can recommend the following vitamins: "Watering the baby", "Aboderin", "Multi–Tabs Baby". These remedies are used from birth. For children after a year you can apply vitamins such as "Sana-Sol", "Biovital gel", "Queen", "Alphabet", "Our baby". To determine what vitamins you are missing the body of the child, according to the following criteria. For example, if a child refuses to eat, there is a disorder in physical development, he was erratic, irritable, most likely, his body is not enough vitamin C.
Before giving your child this vitamin, you should make sure whether the baby allergies, and choose the product developed from non-allergenic plant species. In the case of a child or the appearance of skin problems need to settle the amount of vitamin A. Vitamin B1 is used for fatigue, poor sleep, irritability, and vitamin B6 in the retarded growth, loss of appetite and convulsions. The familiar vitamin D is useful for the same symptoms as vitamin b group, as well as with the possible development of rickets. Vitamins are medicines, before their reception it is necessary to read the instructions or consult a doctor, do not assign yourself to the child the course of taking any money, as it is fraught with consequences.